Motorola has launched their RAZR Maxx android smartphone in India today at a price tag of Rs. 31,590. The company also announced the Motorola RAZR V for India which will be coming in Q3 of 2012. Motorola RAZR Maxx will be available with Android Gingerbread and later on will receive an ICS upgrade. 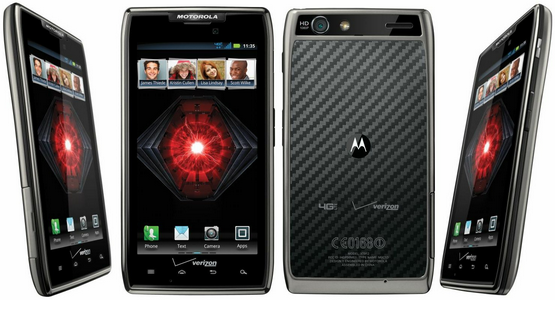 The RAZR Maxx smartphone will be available at select cities and stores initially. Its counterpart RAZR V will be available with Android 4.0 ICS later this year. The smartphones have the RAZR finish and an attractive design. Both the smartphones have been made tough with KEVLAR fibre and Corning Gorilla glass takes care of your screen. The RAZR Maxx sports a 4.3 inch Super AMOLED advanced display with a resolution of 540x 960 pixels. The smartphone is powered by 1.2 GHz Dual-core processor with 1 GB of RAM. The battery of Motorala RAZR Maxx is great plus of this phone. It gives an astonishing 16 hrs of video playback which is alot more than the iPhone 4S and Galaxy Nexus. Overall the phone looks promising but a little high priced but we will take that keeping in mind the battery backup of the phone.